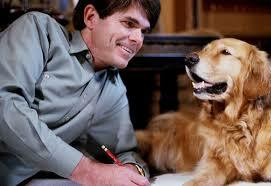 I may be one of the few people who read widely, and yet have never read a Dean Koontz book. For those of you who are in the same boat as me: he’s a very popular author, and has written many best-sellers. 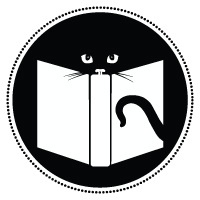 He’s also been around for awhile; I remember my aunt (who also happens to be a librarian) talking about him when I was a young girl, and I equated his name with others like John Grisham, Janet Evanovich, Patricia Cornwell, etc. These are tried and true authors that are still big names today, and have a legacy of books behind them that will continue to keep them living comfortably well past their writing days. 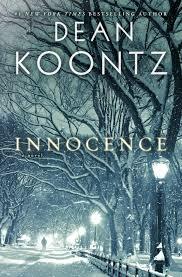 So, this is all to say that Innocence is the first Dean Koontz book I’ve read, and although I don’t typically pick up a lot of commercial fiction, I do still enjoy reading it, so it shouldn’t come as any surprise that I enjoyed this book as well. Innocence surprised me for many reasons. The first is that because I didn’t technically know what kind of books Koontz writes, I really didn’t know in which direction this storyline was going to head in, so I was somewhat shocked when this crime thriller turned into a dystopian novel of sorts. It also had elements of horror, which I really quite enjoyed. And contrary to my love of the cozy mystery, this book was also quite dark, touching upon horrific crimes and terrible deeds, so much so that I almost reconsidered passing this book to my kind-hearted mother-in-law for fear of upsetting her. Elements of mystery are also present, as the main character is quickly explained to have some sort of hideous deformity, one that prompts even the nicest people to attempt to violently kill him as soon as he reveals himself to them. Because of this, he lives underground in New York City, venturing out only at night and completely covered to get supplies to sustain himself. Interesting premise indeed, and only through a plot twist at the end do you discover what he truly looks like. One problem I did have with the book was the painfully detailed descriptions of placement and environment. Because the majority of the book takes place in New York City, there are lots of alleys, underground tunnels, streets etc. that are crossed. However, Koontz painstakingly describes each and every turn his protagonist Addison takes, which gets a big tiresome after a few paragraphs. Maybe this is just a sign that I’m an impatient reader, but when the author has described a convoluted trail through city streets that I’ll never keep straight in my mind anyway, I don’t really care about where the character is situated exactly, or what it looks like around him. It doesn’t make a difference to the story, and it’s too complicated to keep straight in your head anyway, so why bother? Other than that, I was pleasantly surprised by this book, and it kept me turning the pages, which is in my mind, is the main objective of a commercial fiction, although it should be the main objective of any book. Considering Koontz is often painted with the ‘commercial’ brush, I was also surprised at the language used. I found it quite varied, at times flowery and laden with metaphors, which I didn’t expect. Koontz also used a few words I had never heard of before, which is always fun to come across in a book, no matter who wrote it.